← How to Measure Abalone Correctly to Avoid a Ticket? Local Gooseneck Barnacles on the Menu? Answer: I suspect that as with so many of our regulations, goosenecks were not included with the inverts that can be taken because no one spoke up when the list was made to say, “Hey, people eat goosenecks!” California Code of Regulations Title 14, section 29.05 lists those animals that may be taken within the intertidal zone, and no barnacles (including gooseneck barnacles) are included. 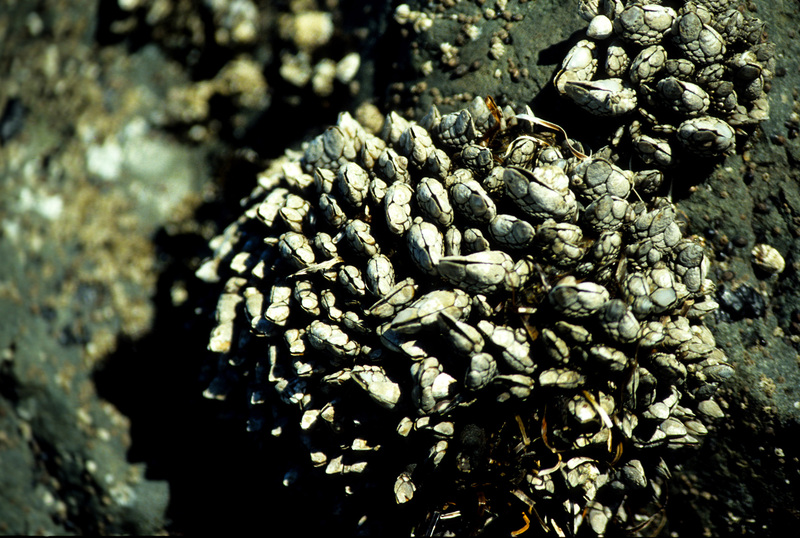 These regulations are reviewed and often amended every two years and the Fish and Game Commission could consider adding barnacles to those animals that can be taken. Feel free to contact the Commission with your request (www.fgc.ca.gov/). They would ultimately decide if goosenecks could be added. 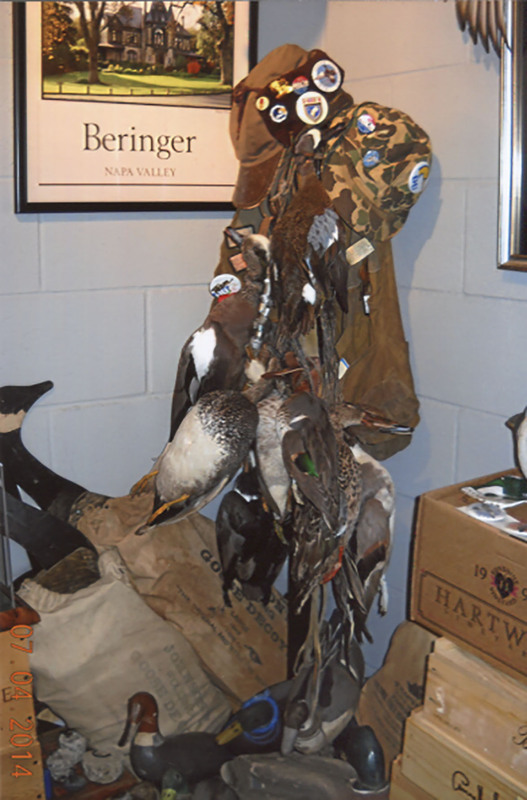 Can my estate sell my hunting gear as furniture? Question: Can my estate sell my collection of all of my old hunting gear that I have collected over the years as a piece of furniture? I have an old hat rack with the following items on it: My father’s old hunting hat and his brother’s old hunting hat, my father’s old hunting coat and his duck strap. On the coat are some old hunting licenses (1930’s and 1940’s), various duck pins, plus 1920 and 1942 Ducks Unlimited pins, and collections of duck bands on a cord. There are also some old pheasant tags/permits in one of the pockets from this same era. What I’m most proud of is the duck strap that contains nine different species of mounted ducks hanging by their necks. They include: hen shoveler, blue wing teal, gadwall drake, pintail drake, widgeon drake, green wing teal drake, wood duck drake, ring necked duck drake and a small cross-bred duck. Answer: What a great collection!! Unfortunately, as you suspected, you cannot sell the ducks. Your best bet would be to sell the other items and donate the ducks. You could perhaps take the ducks out of the collection all together but then donate the strap of birds to the person who buys the other items. Answer: Unless you qualify for a disabled hunting license, the law prohibits shooting any game bird or mammal from a motor vehicle (Fish and Game Code, section 3002). This provision also applies to a vehicle-mounted deer stand. A legal alternative might be if the stand could be mounted onto a trailer that could then be detached from the vehicle. This entry was posted in Gear, Hunting, Invertebrates, Methods Of Take, Selling animal parts, Tackle, Uncategorized and tagged bait fishing, deer hunting, fishing tackle, invertebrates, ocean fishing, regulations. Bookmark the permalink.